Developers and designers are employing the architecture of the PC and the desktop browser-based Web and hoping to speed it up for mobile. We see this approach in the "wrappers" for native applications, epitomized by the likes of PhoneGap (IE, Apache Cordova) where Web apps and websites are written in HTML and CSS and then "wrapped" with native properties (API hooks into a smartphone operating system and hardware). The industry term for these concoctions are "hybrid" apps. After years of writing about and researching these apps, I now believe that it is the wrong approach to cross-platform development and building the best Web and native app experiences. Web development is one of the most exciting fields to be in right now. It really hit its stride when the smartphone made its triumphant debut a few years ago, but that was just the beginning. 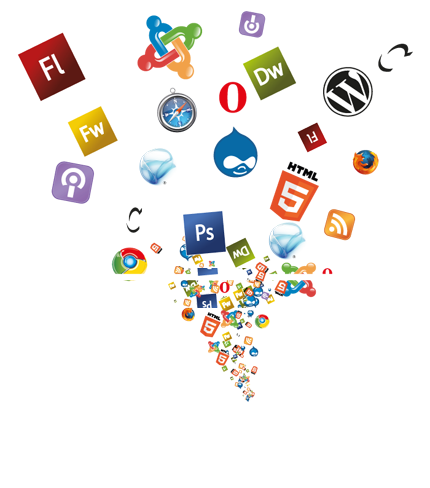 Specialize in developing reliable yet creative Web Development solutions. Web Development solutions are completely scalable, catering for both complex and simple website requirements. With our development center in Delhi - Noida India helps in minimizing cost we produce a range of online solutions covering E-commerce, Design and Branding, E-Marketing, Flash Development and Online Applications. Web Development Company Delhi India is specializing in web development, custom website development, portal development, e-commerce development. Website Business Solution - Leading Professional Website Development Company providing affordable website development and web portal in all world.